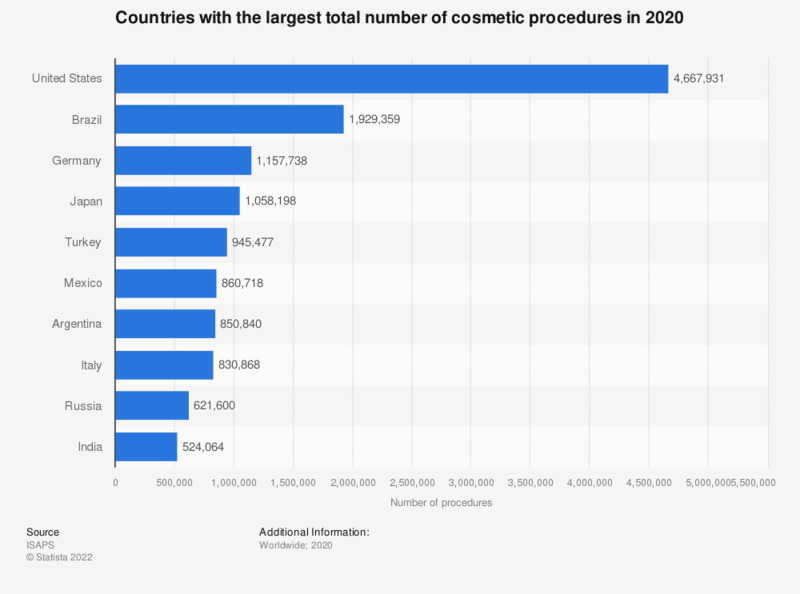 This statistic shows the countries with the highest total number of cosmetic procedures in 2017, including surgical and nonsurgical procedures. In that year, the United States reported some 4.31 million cosmetic procedures. This almost doubled the number of second ranked Brazil which reported around 2.5 million such procedures. Rankings are based solely on those countries from which a sufficient survey response was received and data were considered to be representative.